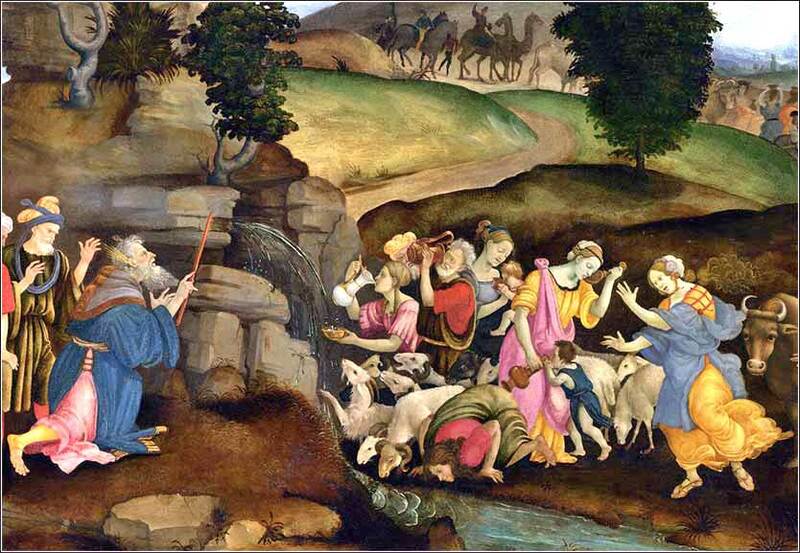 Moses Brings Water Out of the Rock, Filippino Lippi ca. 1490. Lippi (the illegitimate son of Fra Lippo Lippi)) captures the hysterical thirst of the Hebrews. Notice that the thirsty are as pale as ghosts, coming to both physical and spiritual life when they drink. Christ Jesus, before ascending into heaven, You promised to send the Holy Spirit to Your apostles and disciples. Grant that the same Spirit may perfect in my life the work of Your grace and love, and that I may bear my cross with You and, with courage, overcome the obstacles that interfere with my salvation; Teach me to be Your faithful disciple and animate me in every way with Your Spirit. 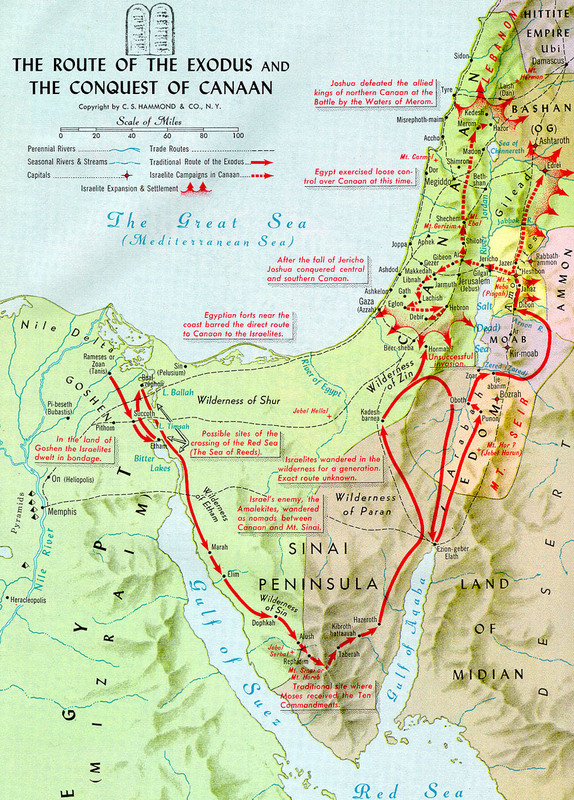 Although place names in Exodus, especially the Sinai, are nearly impossible to locate with any accuracy, the Israelites have certainly moved into the lower half of the peninsula and are still in the west. 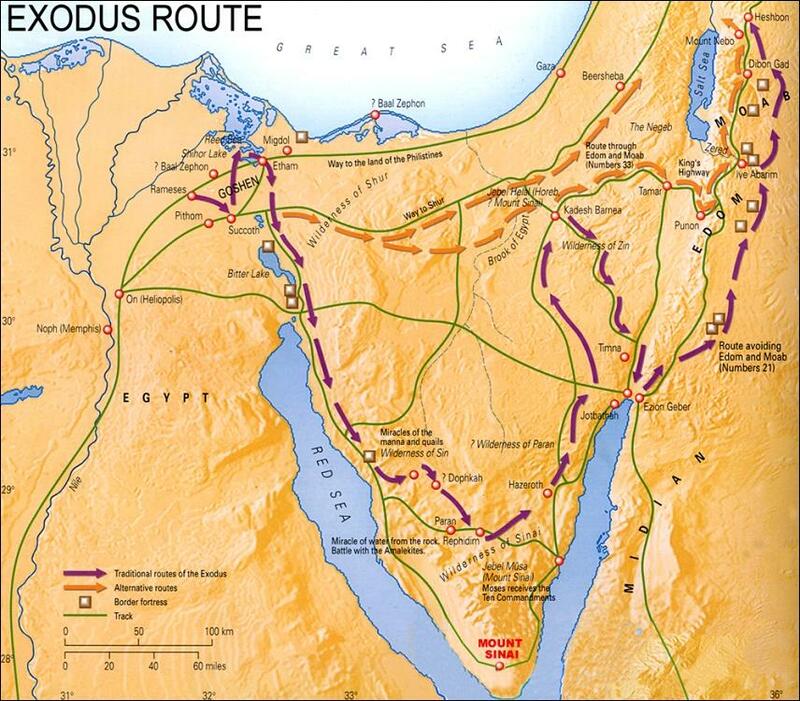 It is a land filled with deserts, and the Hebrews have found a good one; there is no water at all. By now, the dynamics of the journey are becoming familiar. The Hebrews seem to face certain death. They complain loudly, for their trust in God is weak and their tribulation considerable. 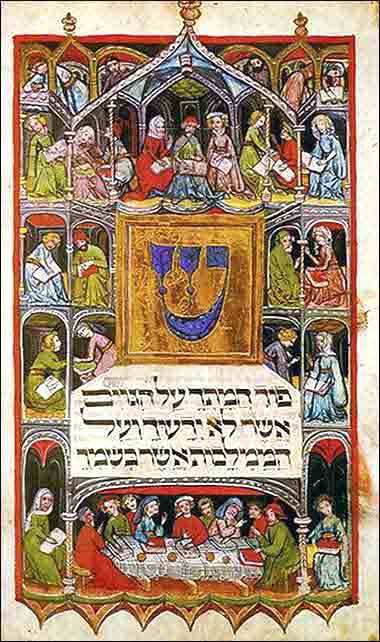 God, communicating through His prophet Moses, intervenes; and in this case, the miracle God brings, to reinforce the lesson He intends to pound into their minds for forty years, is spectacular. Moses performs an act of physical salvation; but layered onto it is a broader message of spiritual salvation, looking ahead to Christ and even Peter, the founder of Christ's church, the "rock upon which" Christ would ensure the continued salvation of the faithful after His ascension. The desert has come to embody a retreat into a state of spiritual openness, for being there deprives one of physical distraction. It symbolizes (and brings about) what Jesus called becoming "poor in spirit", that is, being free of internal suppositions and thus open to God's word. And so the water of life gushes into the Hebrews, when they are the most thirsty, setting the stage for God to bring His commandments to humanity.